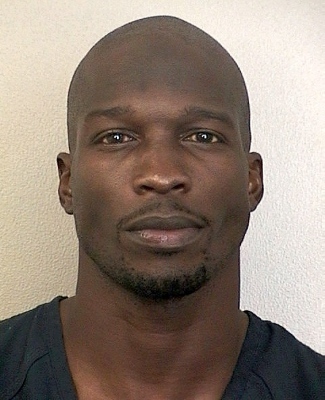 On Saturday night Chad Johnson formerly Chad Ocho Cinco was arrested in Miami. The arrest stemmed from a domestic assault that occurred outside of his south Florida home. Johnson’s wife Evelyn Lozado alleged she was headbutted by him during an argument. This is one of the worst things that Johnson could have done to his football career. Chad Johnson “Mugging” for the camera. Johnson was signed by the Miami Dolphins earlier this summer. Johnson was ineffective and largely unused last season for the New England Patriots. He caught only 15 passes in 15 games for the AFC Champion Patriots. The Dolphins wanted a big name to bring to camp and decided to take a chance on Johnson. The experiment is already going wrong and the season is still a month away. Chad Johnson has made a career of being T.O. like with his ego and antics. Once wearing a Hall Of Fame jacket with is name written on the back of it on the sidelines of a game. While talented and successful he has a knack for creating controversy and adversely affecting teams. Johnson was recently married and changed his name back to his birth name from his attention getting Chad Ocho Cinco monicker. Johnson has always been about getting his name out in the media and being bigger than the team. He has done it again but this time he could face serious charges and even be released by the one team that wanted to give him an opportunity. Johnson is only getting older and does not have much time left to be screwing up or alienating himself from his team. The Dolphins have been in rebuilding mode since Dan Marino retired after the 2000 NFL season. The team has made a mistake by signing Johnson and would be making an even graver mistake by keeping him. The Dolphins have struggled and been at the bottom of the AFC East for way to long. This is an organization that should be on top with such a great legacy and tradition. They obviously still have a long way to go judging by the Ocho Cinco experiment. He is made for one thing and one thing only, to destroy a team while making the papers for doing and saying ridiculous things. Johnson has gone too far this time and its time for the Dolphins to cut ties with the Pro Bowl Wide Receiver.